King Grim Vasteri is the strongest and most feared warrior in the Tornian Empire. He is the King of Luda, blood brother to the Emperor and his line will die with him. He will have no offspring for no female would join with him for once he was scarred he was considered 'unfit'. The Tornian Empire has been dying ever since the great infection caused the birth of females to become a rarity. Since then they have been searching the known universes for compatible females. The Emperor's discovery of a compatible female on a slave ship changed that. He'd ordered Grim to find his Empress' home world so more 'unprotected' females could be obtained, knowing Grim would never be allowed to Join with one. Lisa Miller is a widowed mother of two little girls, Carly and Miki. Her husband died just a year ago, after a long battle with cancer and she misses him immensely. 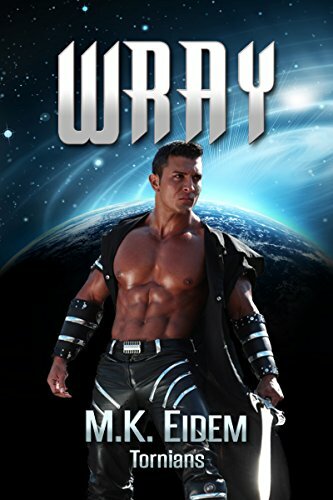 Friends want her to start dating again but in her heart, she knows there isn't a man on the planet she could love like her Mark. . . .
Emperor Wray Vasteri has a problem, he needs to find compatible females or the Tornian race will die. Could the abused female he found on a Ganglian ship be the answer? She was different then their females, she was she was strong and brave and brought out something he'd always thought was a myth. Love. But would it be enough to save them both? Victoria Lynn Chamberlain… at two, she was abducted by an alien race, the Regulians… at nine, her world literally explodes when the Regulians returned, destroying Earth. She and her Aunt are the only survivors thanks to another alien race, the Carinians. Now she’s eighteen, a new graduate from their top medical school, and is ready to claim her life mate. Lucas, the handsome Carinian pilot that saved her all those years… cycles… ago. Major Lucas Matthew Zafar is a decorated pilot for the Coalition who has worked hard for every promotion, earned every decoration, despite his father being High Admiral. Nine cycles ago, he crashed on an alien world and discovered his life mate, a nine-­cycle girl with flaming red hair and sparkling green eyes. She captivates everyone around her with her strength and determination. She is his world, or will be once she grows up. When he’s injured in an explosion, he discovers that his wait is finally over, for Victoria is more than grown up. Together . . .
Cassandra Chamberlain has always stood out. It's hard not too at 6’1” and 165 pounds with jet black hair and sapphire blue eyes. And if that wasn’t enough she is also brilliant, graduating from Harvard at fifteen, teaching at MIT at nineteen and up for the prestigious Magellan Award at twenty five. But she’s never really fit in. Not with her peers, not with her contemporaries, only with her family. But everything changes when the Earth is attacked and Cassandra and her niece Victoria are the only survivors. Suddenly the smartest woman on the planet has to relearn everything. Everything she’s believes to be true is challenged and she has to learn to survive, not only for herself but for Victoria, because someone wants them dead. Admiral William Zafar is the youngest Admiral ever in the Coalition fleet, the hero of the Battle of Fayal. At 7’1” he’s 325 pounds of Carinian male in his prime who is feared and respected throughout the fleet. He is a royal from the House of Protection, . . .
Kirall was desperate. He was a Black Prime Dragoon, the strongest and fiercest of his kind and he was in heat. Autumn was desperate. She was human, female and struggling to survive. At twenty-­two she was barely making ends meet. Two unlikely people are brought together because of desperation. If they can find a way past the deceptions that brought them together, they will change the Universe. Abby has chosen her male, Ynyr the youngest Lord in Tornian history, even though his new House is decimated. Can two people, coming from two different worlds, find a love strong enough to overcome years of lies and deceit? If they can, their love will change the universe. If they can’t, the Tornian civilization is lost. Kim Teel has had a hard life, at least she thought she had, until her parents were suddenly killed and then her sister . . . The historic meeting of the Assemble of Lords has adjourned and the Empire is chaos. Lord Oryon must now return home and try to explain to his remaining Warriors just how their universe has changed. House Rigel is about to be transformed and as it is, dark and long held secrets are revealed that threaten not only the House but the love between Oryon and Isis. Cassandra Chamberlain has always stood out. It's hard not too at 6’1” and 165 pounds with jet black hair and sapphire blue eyes. And if that wasn’t enough she is also brilliant, graduating from Harvard at fifteen, teaching at MIT at nineteen and up for the prestigious Magellan Award at twenty five. But she’s never really fit in. Not with her peers, not with her contemporaries, only with her family. But everything changes when the Earth is attacked and Cassandra and her niece Victoria are the only survivors. Suddenly the smartest woman on the planet has to relearn everything. 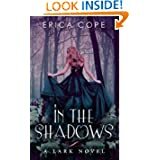 Everything she’s believes to be true is challenged and she has to learn to survive, not only for herself but for Victoria, because someone wants them dead. Admiral William Zafar is the youngest Admiral ever in the Coalition fleet, the hero of the Battle of Fayal. At 7’1” he’s 325 pounds of Carinian male in his prime who is feared and respected throughout the fleet. He is a royal from the House of Protection, . . .